The first ever exposed coil "mini" humbucker for Dawgear applications.. Should fit any P-90 Soapbar or Dawgear footprint. Four conductor. Fancy colors also available. Another first from Rio Grande. 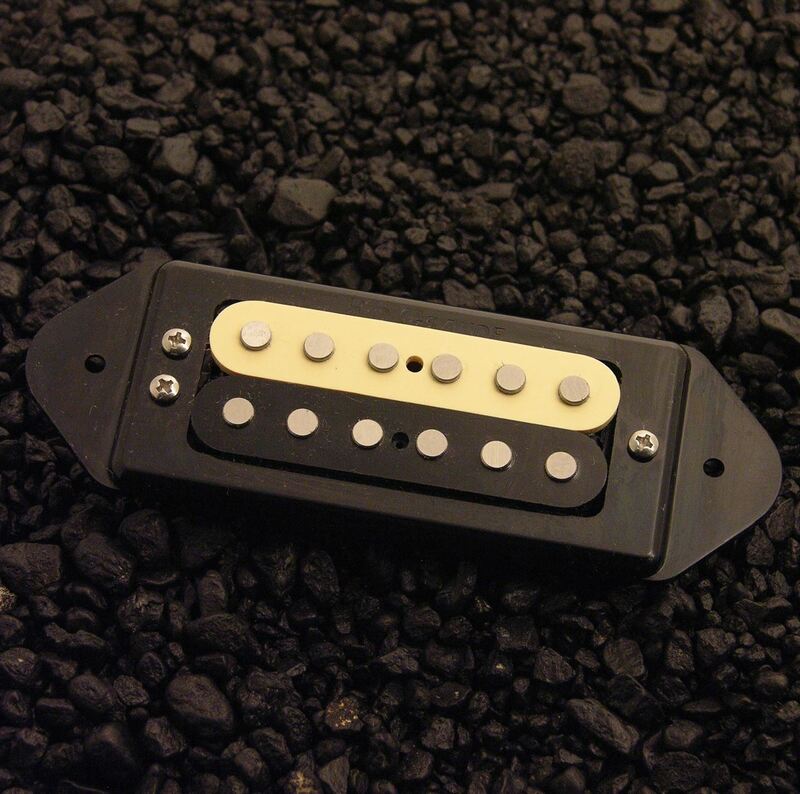 The first ever exposed coil "mini" humbucker! With zebra or double black coils. But good looks will only get you so far. The sound is thick, beefy and loud, the new Teeny Dawgbuckers from Rio Grande sets the new standard in its class. Available with black or creme "Dawg" style mounting rings . Should fit any P-90 Soapbar or Dawgear footprint. Four conductor. Fancy colors also available. Another first from Rio Grande. Recommended neck position. Though not an actual P-90, this pickup will mount in a standard Soapbar or Dawgear P-90 footprint.